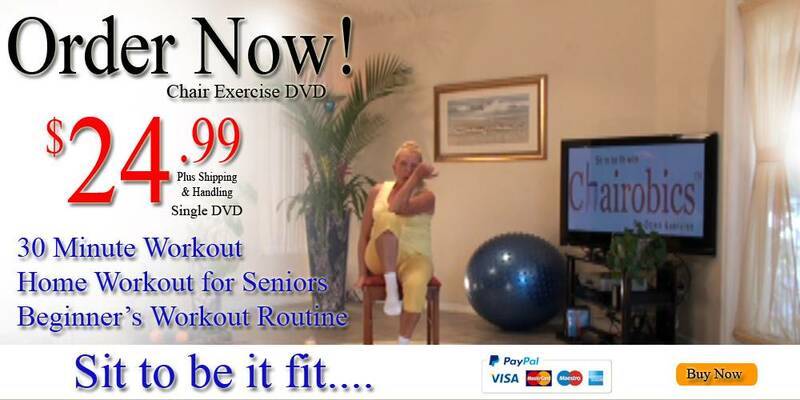 Seniors chair exercise DVD – Sit 2 be fit…. 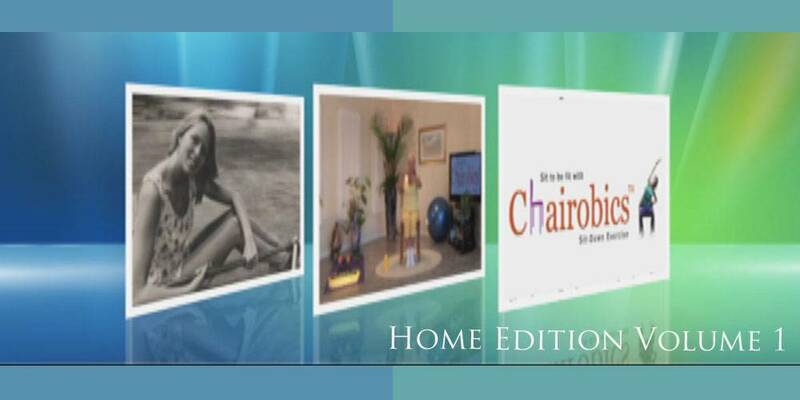 Chairobics, an innovate sit down exercise program is a compilation of low impact aerobics movements customized to meet the needs of those who like to exercise “while sitting down” in the privacy of their home. My exercises are designed to strengthen your endurance and exercise all your muscles in a fun sit down position. This full aerobic workout begins with a blend of yogic stretches which gradually progresses to more accelerated and isometric types of movements all of which are performed while sitting down. In Chairobics we exercise our muscles in a fun sit down position doing an assortment of exercise movements using our upper, mid and lower sections of our body. In the first section of this Chairobics Video we learn the 26 Core Chairobic Movements. The Core Movements are the base for the Chairobic Aerobics session. These movements are slower with only five repetitions of each movement. For those who are just beginners they will learn the Chairobics Core 26 Movements 1st and practice them as often as they need to. When they become stronger and more confident they can move into the Chairobics Aerobic segment which is faster with ten repetitions of each movement. Chairobics is a fun and enriching leisure exercise activity to share with everyone. Now through this DVD and my Chairobics Website I am able to reach millions of people who will use Chairobics to help improve the quality of their lives. So gather a list of those you know who will benefit from using Chairobics. Next visit Chairobics.com to place your order. If you purchase 10 or more DVD’s please call me toll free for the special discount rate. You may wish to consult with your physician prior to any changes in you normal physical activity. 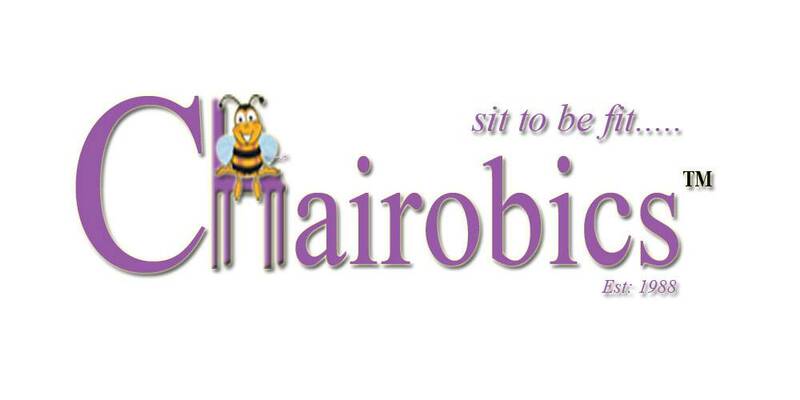 Once again, thank you for letting me share Chairobics with you all – your sit to be fit exercise program. Or anyone who could enjoy and reap the benefits from the Chairobics work outs. We all know how important it is to exercise all of our muscles and to keep our body fit and strong with repetitive exercises.